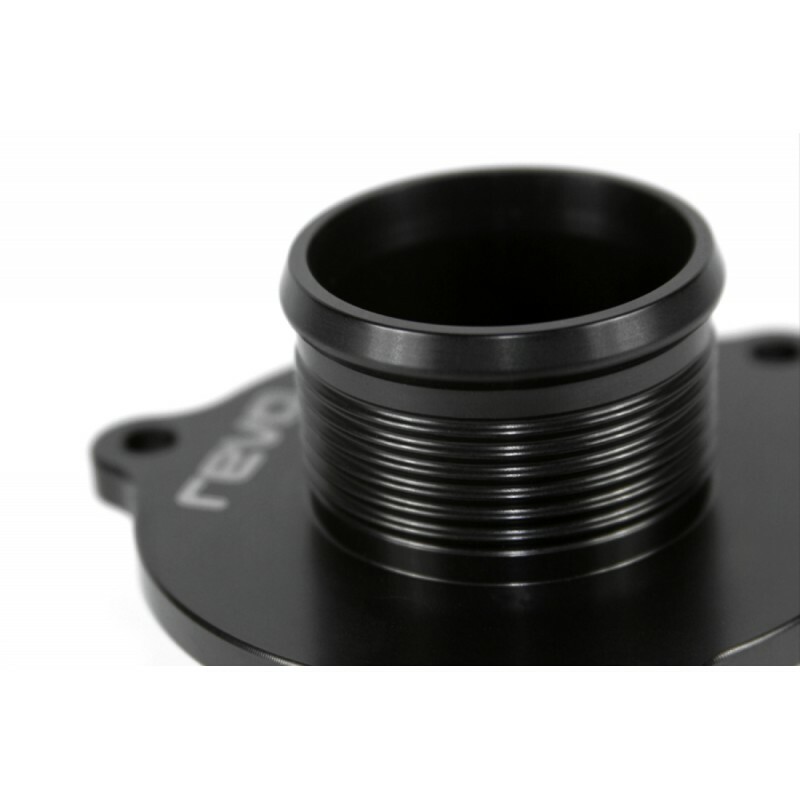 The Revo Turbo Muffler Delete has been designed and manufactured to directly replace the stock muffler found in vehicles with the 1.8T and 2.0T TSI engines with an IHI turbo. 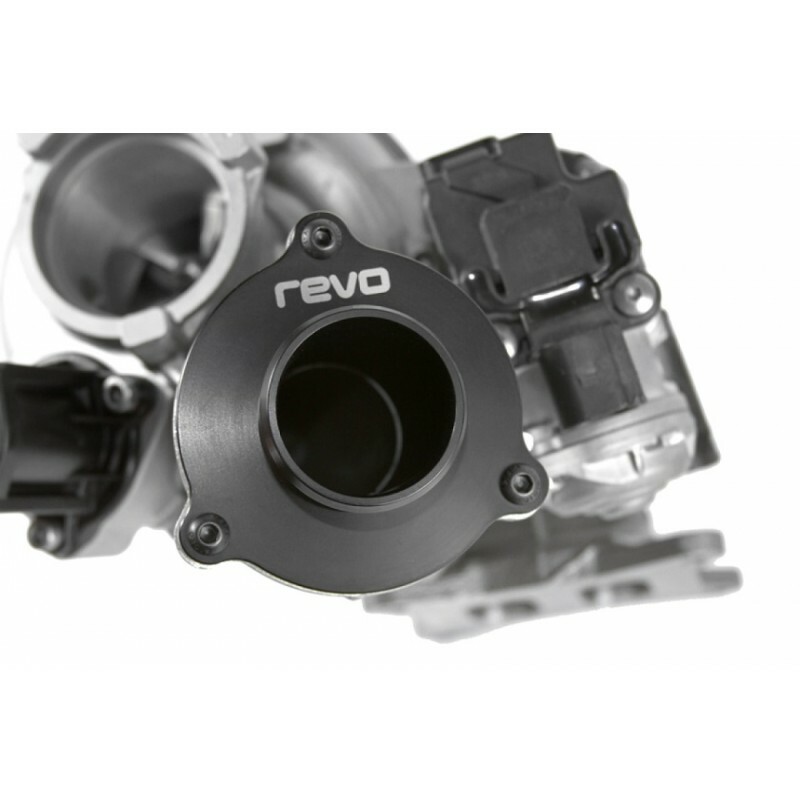 The Revo Turbo Muffler Delete offers a high-quality single piece replacement for the OEM part which allows for smoother uninterrupted air flow, increasing throttle response and providing improved turbo acoustics. 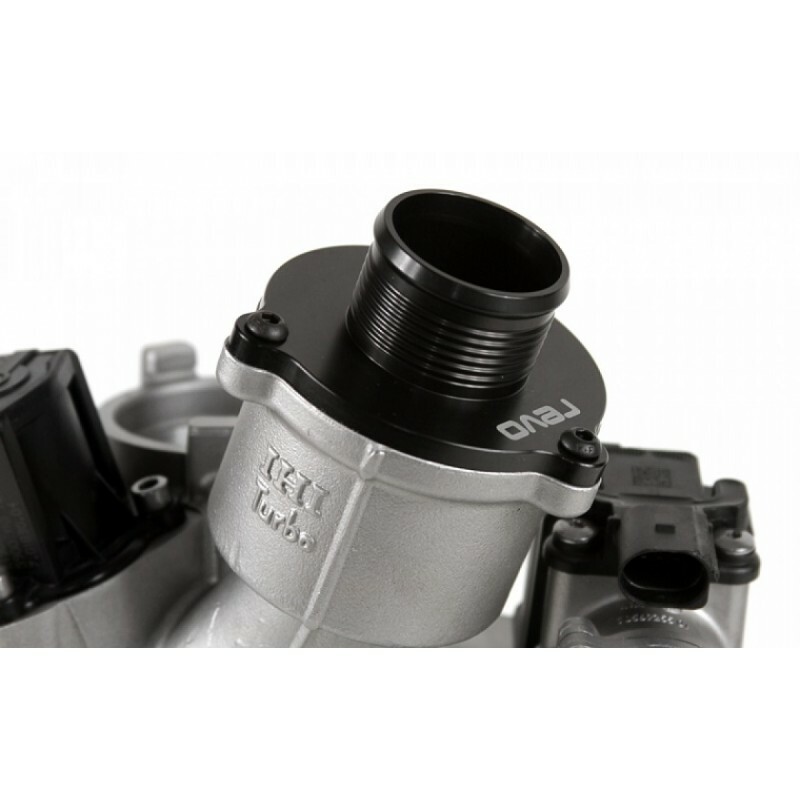 The factory IHI turbocharger on your engine is equipped with a turbo muffler positioned at the compressor outlet. 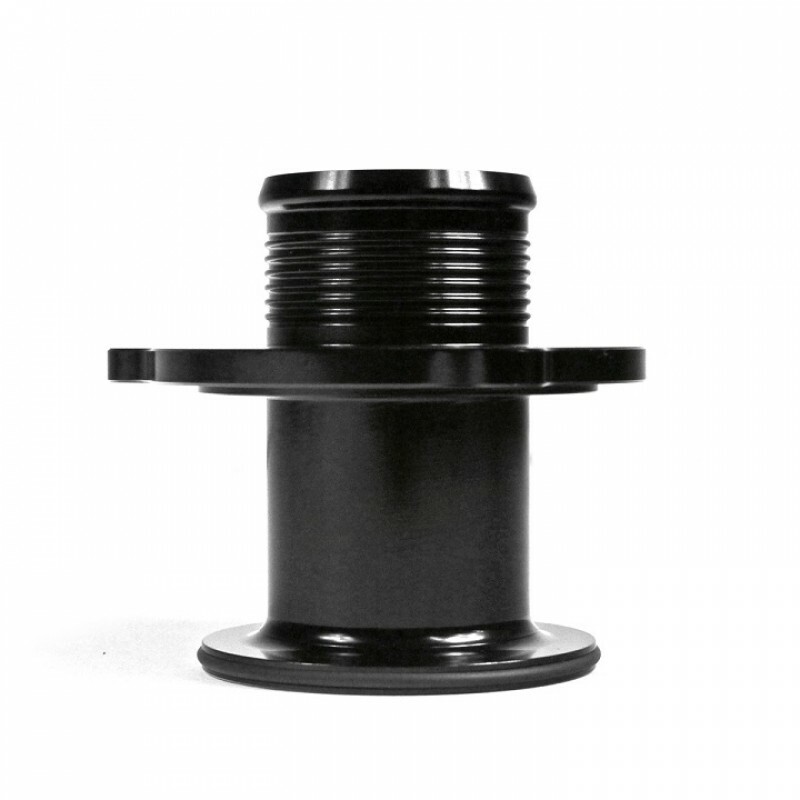 This is designed to reduce noise from the turbocharger by using two holes cut into the side walls that create chambers. These chambers cause turbulence in the air exiting the turbo which produces back pressure that negatively affects performance and response. 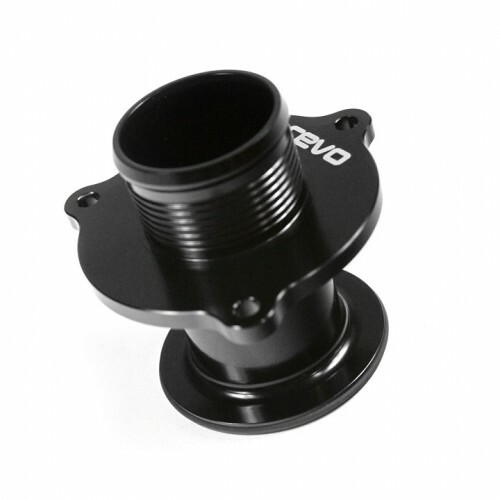 Designed by Revo, the turbo muffler delete is CNC machined from a single piece of billet aluminium and anodised black for strength and corrosion resistance with a laser-etched Revo logo. Its single piece design allows air a more direct path when exiting the turbo, smoothing flow to offer enhanced throttle and boost response. 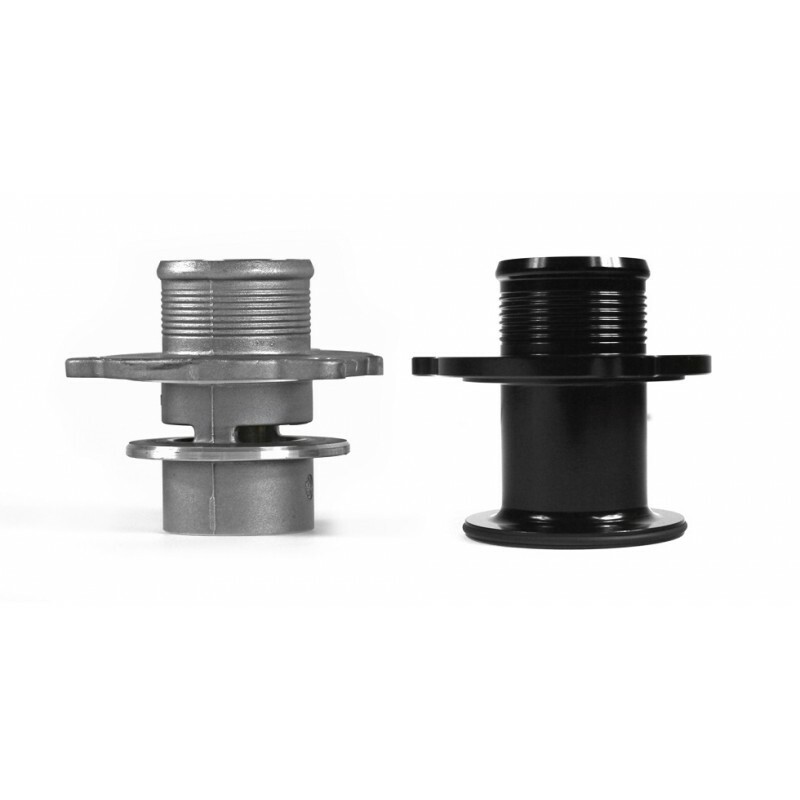 This part comes complete with a high-temperature gasket to ensure a secure seal when installed.